The research is carried out either as specialisation research within a faculty, or through interdisciplinary research across faculty boundaries. In many subjects, research is also carried out with a didactic or educational specialisation. Research training is offered within all faculties and leads to a licentiate or doctoral degree. Approximately 350 doctoral students are active in 52 different subjects, several of which have a didactic or educational science specialisation. Linnaeus University provides research training courses characterised by good conditions, a committed supervisory team, and a thorough and well-established national and international network. Doctoral students are also able to influence the arrangement of their studies to a large extent. 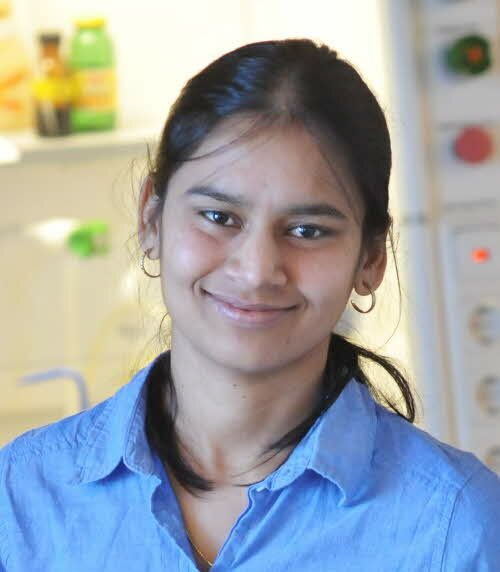 Holders of doctoral degrees from Linnaeus University have pursued research together with supervisors and other doctoral students in high-quality research environments, and are used to working in teams and to presenting their research to both experts and laymen. Research training is the foundation for a career as a researcher and teacher at a university, or as a researcher in the industry. This type of training can also often lead to other exciting jobs. 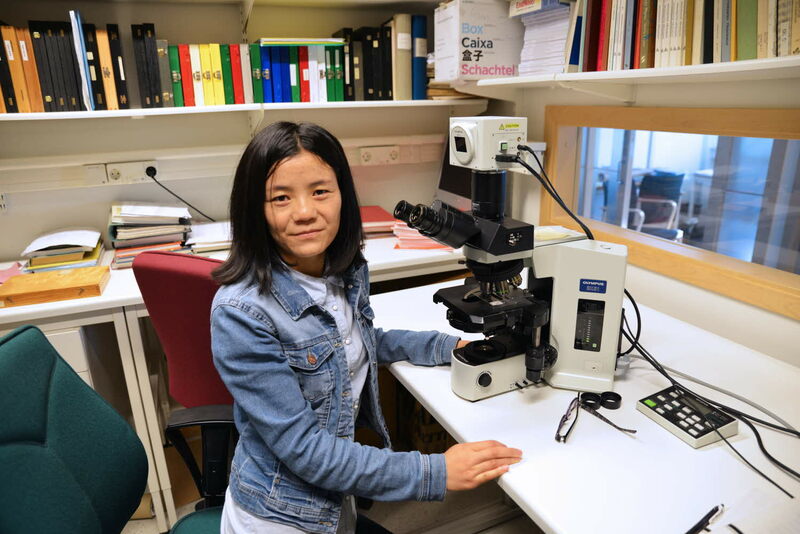 Her interest in paleoecology and the possibility to manage her own time made Furong Li choose PhD studies. Why did you choose to study for a PhD? In order to answer why I started studying for a PhD, I need to go back to the inspiration I felt when I started my master studies seven years ago. When I was doing my undergraduate studies in ecology, I was reading a book named Principle and application of ecology. In the book, I read that knowledge about vegetation in ancient times can be inferred from pollen in sediment, and that the time period for which this can be done can date as far back as millions of years. I was astonished by the power of small pollen grains in helping us understand the vegetation and landscape history. I became fascinated and wanted to learn how this works, so I decided to become a paleoecologist. What is the best thing about studying on a PhD programme? What appeals to me the most is that I can decide what field to do research in based on my interests, arrange my working time the way I want, plan all my experiments, and establish my reading and writing timetable myself. I also like to go to conferences and workshops to listen to presentations and have discussions with other people from my field of research. What does a typical day look like on your PhD programme? On days when I'm working in the lab, I usually first come to the department to check my emails and then go to the lab. In the lab, I usually sit in front of a microscope, identifying pollen grains by their morphological shape, size and the ornamentation on the outer surface of the pollen wall. I also perform counts of the number of pollen types in different samples from time periods in the past. When working on my computer, my days are filled with reading papers from related research fields. I also have meetings with my supervisor and with my colleagues, make data analyses of both field work data and lab work data, and write research papers based on my study. What are your plans for the future? What will you do once you have defended your doctoral thesis? I will probably like to continue with research. I like to work in a simple and quiet environment. Maybe I will find a postdoctoral position at a research institute or university and continue with the work I still haven't finished after my PhD. After that, I will most likely try to find a research position within some other field to broaden my knowledge. I've heard that people who change from one research field to another usually get more inspiration and more ideas, as a result of their thoughts not being restricted to one field. "The research facilities are great, and as a researcher you have access to all the resources you can dream of. For instance, I can buy whatever chemicals I need for my research as long as I can justify the purchase to my supervisor." To be admitted to PhD studies in a third-cycle subject area there are some requirements that have to be fulfilled. These requirements concern the applicant as well as the school that hosts the subject area. Students at third-cycle level must have completed first and second-cycle degrees, either in Sweden or abroad, or have equivalent qualifications. To meet the basic entry requirements for PhD programmes, applicants must have a second-cycle degree or have completed studies comprising at least 240 higher education credits, of which at least 60 credits were awarded at second-cycle level, or have completed a corresponding programme in another country or have equivalent qualifications. Those who met the basic entry requirements before 1 July 2007, i.e. had completed a programme of higher education comprising at least 120 credits (in the former credit system) or the equivalent, will continue to do so until 30 July 2015. Specific entry requirements vary from subject to subject. These requirements must be considered totally necessary for a student to be able to complete the programme. Often these requirements stipulate knowledge acquired in higher education but specific vocational experience may also be required. The specific entry requirements are listed in the subject area's general syllabus. A requirement for admission to PhD programmes is that the applicant is considered in other respects to have the ability required to benefit from the study programme. Whether the applicant is considered to have the ability to finish the programme within four years of full-time studies (or equivalent if the studies are not performed full-time) for a doctoral degree, or two years for a licentiate degree, is also taken into account. This ability is usually judged based on the essays/theses from first- and second-cycle studies, the proposed research plan, scientific publications, and the results of interviews. The combination of subjects taken during first- and second-cycle studies may be important and is sometimes taken into account. How the applicant's suitability is judged is accounted for in the third-cycle subject area's general syllabus. If there are any additional requirements when it comes to a doctoral studentship, these are listed in the job advertisement. When making a selection between applicants who meet the stipulated requirements, the ability to benefit from the PhD programme will be taken into account. The criteria are listed in the third-cycle subject area's general syllabus. The following forms of funding may apply to PhD studies at Linnaeus University: appointment as a doctoral student (with internal/external funding); secondment from an employer other than Linnaeus University; research scholarship/stipend; dedicated resources for lecturers; and self-funding. If an applicant wishes to be admitted with another form of funding than an internally funded doctoral studentship, the feasibility of the funding plan must be assessed. You can read more about different kinds of funding below. A school cannot admit doctoral students unless it can provide supervisors and examiners. There are also other resources the school has to provide, and these have to be available before the doctoral student is admitted. The school has to provide a work space for the student, as well as other resources that can be expected to be necessary based on the application. If these are not available, admission is not possible. To get an idea of what resources are available, you should contact the school in charge of the third-cycle subject area. Doctoral student positions (PhD's) in Sweden are officially announced jobs. General information about PhD studies in Sweden can be found at the website Studera.nu, published by the Swedish Council for Higher Education. The application process differs depending on if the doctoral position is offically announced or not. If you are interested in PhD studies at Linnaeus University you should check out the vacant job listings. Available doctoral studentships (employment as a doctoral student) are posted at Work at the university. These studentships will finance your studies for an equivalent of four years full-time studies for a doctoral degree or two years full-time studies for a licentiate degree, and during this time you will be employed by the university. You are not allowed to be employed on a studentship for less than 50% of full-time studies. When you apply for a doctoral studentship, you are also applying for admittance to PhD studies in a third-cycle subject area. There will be two decisions made in this process: one concerning admittance (which will take place first) and one concerning employment/doctoral studentship. In the job advertisement you will find information on what to include in your application, the application deadline, and whom to contact if you have questions. The applicants' eligibility and ability are assessed, and if there are more applicants than available positions, they will be placed in order of preference, according to an assessment of the applicants' qualifications and abilities. The decision making process follows the rules and regulations of the third-cycle education. After the decision on admission has been made, the decision-making process of the doctoral studentship is immediately initiated. All the applicants will receive information about the decisions as soon as the decision on the doctoral studentship has been taken. If you have another form of funding for your PhD studies (for example scholarship, external funding from an institute that finances research and PhD studies, or another kind of funding) you should contact the school that is responsible for the PhD studies in the subject area you are interested in. They can give you an idea of whether your financial plan is acceptable or not. They can also inform you if they have other resources available that are fundamental for admission, and give you details about the admission process. Ask for the research officer of the school in charge. Admission to PhD studies with another form of funding than a doctoral studentship has shown to be able to provide the equivalent of approximately SEK 12,000 per month for the doctoral student (after tax, where applicable). The funding has to cover at least four years of full-time studies for a doctoral degree and two years of full-time studies for a licentiate degree. If you are admitted to PhD studies without a doctoral studentship, you are not covered by the Swedish social security system and most likely not by the student insurance system either. The school where the doctoral student is placed is responsible for providing the programme that is described in the subject area's general syllabus and in the student's individual study plan. The doctoral student is obliged to follow the programme as described in the general syllabus and in the individual study plan. You can read more about rights and obligations in Linnaeus University's 'Local regulations for third-cycle education programmes'.